The next time you write a blog entry or type a Facebook status update, before you post, do a search for the capital letter “I” (use quotes). Do you see quite a few? That’s a clue as to how much you think about yourself. Don’t get me wrong. We all need to think about ourselves from time to time. Occasionally, we need to boast. Healthy self-esteem is very important. But maybe, every day, we can care about ourselves just a little bit less and care a little bit more about our family, our neighbors, and even the strangers in this world. 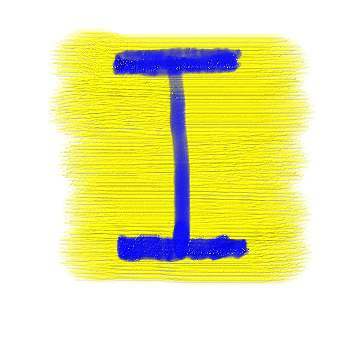 Maybe there’s a reason that “I” is always capitalized. It’s an easy way to see how much we care. Yesterday’s gift of time … A quick brainstorm on sparked.com to help name a children’s garden … Also, drove my son to martial arts practice. This entry was posted in In the world and tagged gift of time, henry van dyke, I, Making A Difference. Bookmark the permalink.